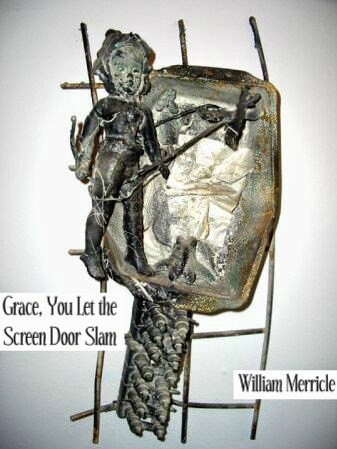 Grace, You Let the Screen Door Slam is a 16 page poetic knock out by one of Ohio's own, the unboxable William Merricle. Published 1 November 2011, this chapbook is available for only $5 US from Crisis Chronicles Press, 3431 George Avenue, Parma, Ohio 44134 USA. Grace, You Let the Screen Door Slam is 8.5 x 5.5", handbound, saddle stapled and inkjet printed on white cover stock and ivory pages with burnt orange endpapers. Approximately 75 copies in print. Click here to see ratings of this chapbook on Goodreads. 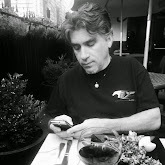 William Merricle is a poet living in Lima, Ohio. His chapbook, Heimlich The Donut, was published in 2010 by Pudding House Publications. He also published several chapbooks, including Love & Food By-Products, Why Should I Suffer Alone?, and Slubberdegullion Blues in a previous century.